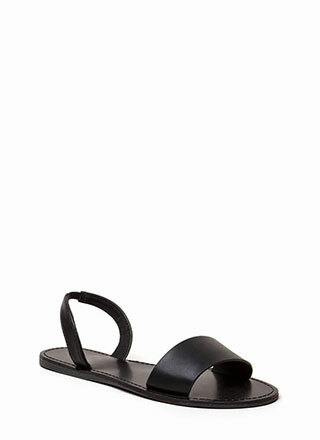 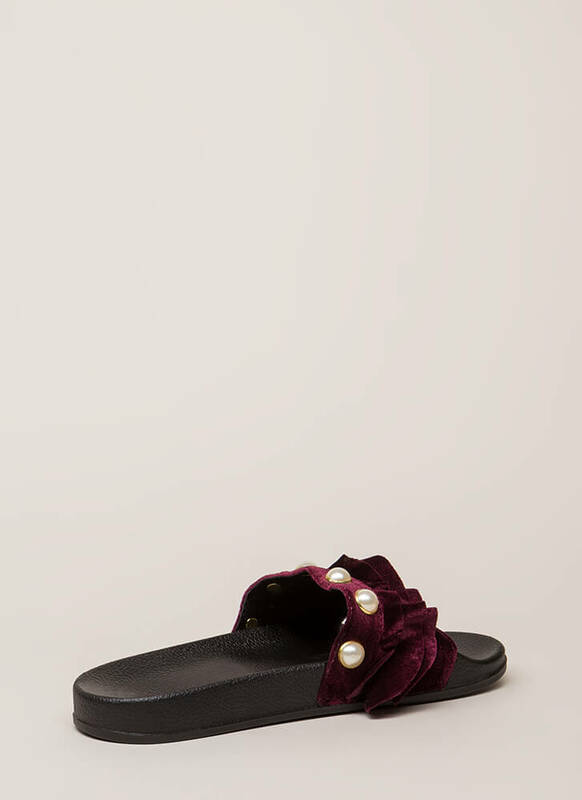 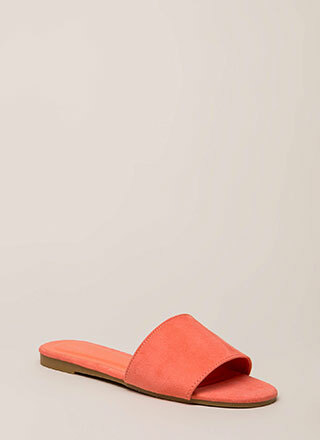 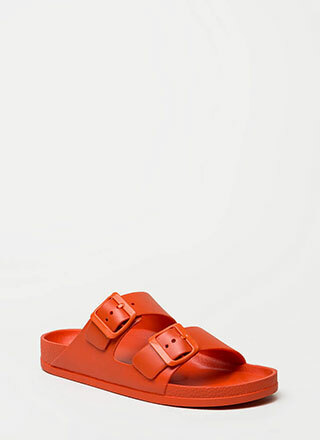 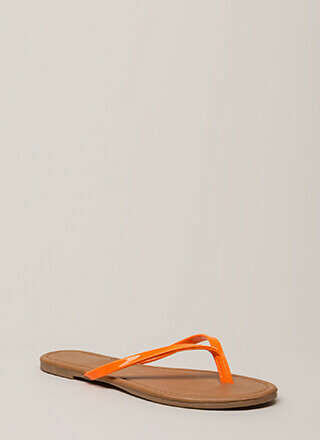 Casual slides just got a super luxurious update in velvet with gleaming jewels! 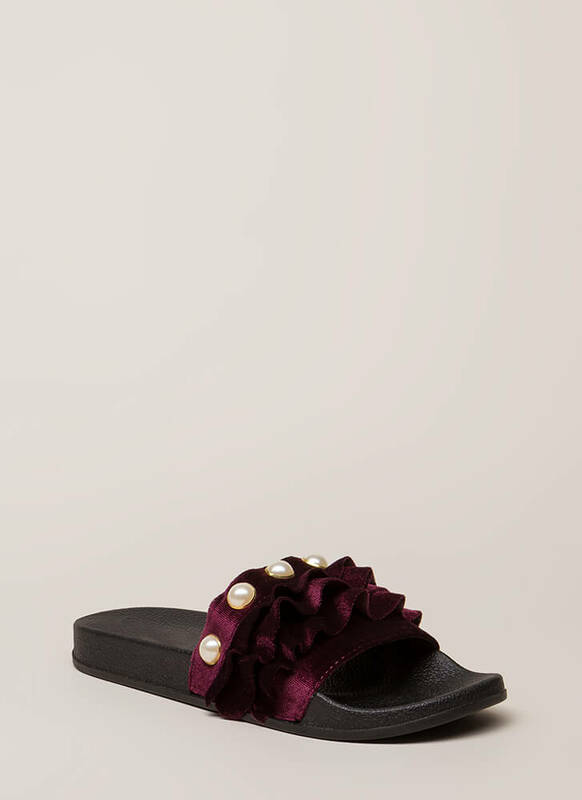 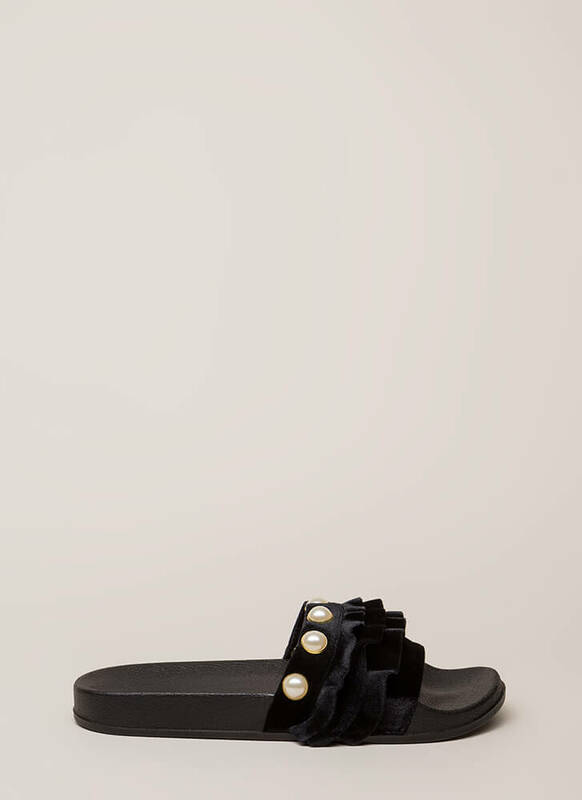 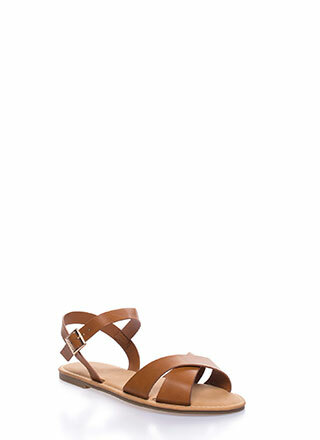 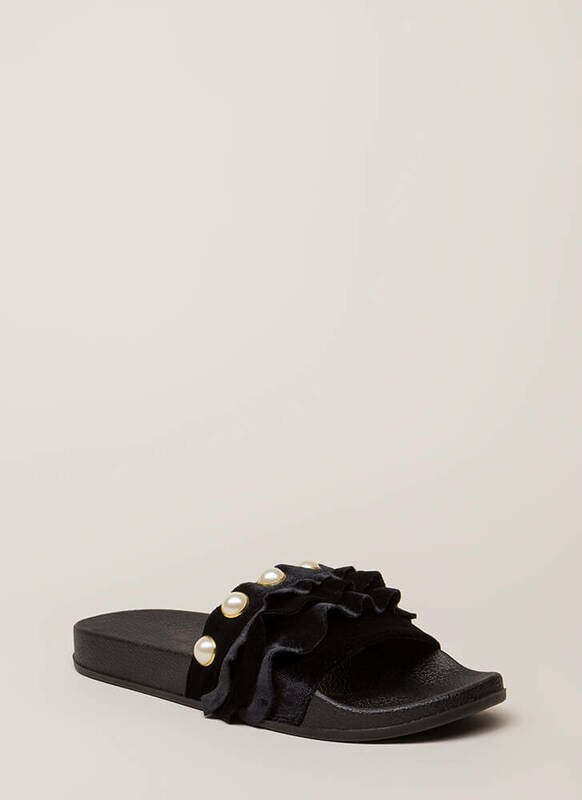 Open-toe slide sandals feature a wide velvet panel embellished with dome-shaped faux pearls and tiered ruffles. 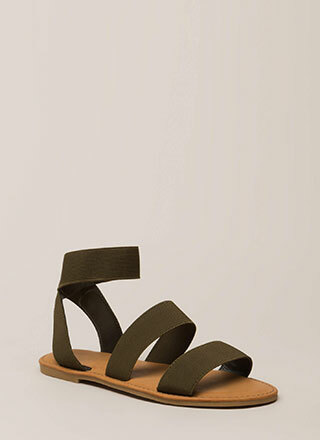 Molded footbed leads to a textured sole.